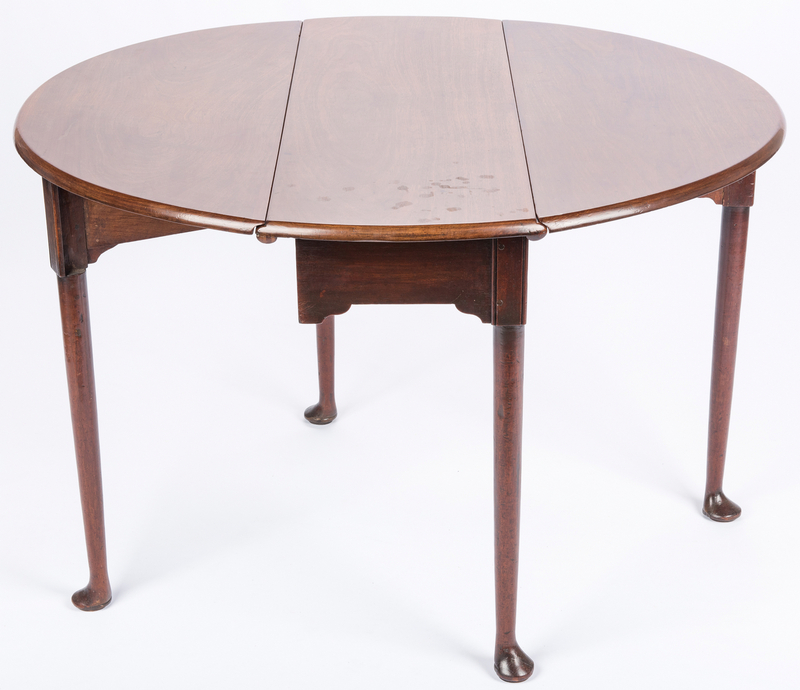 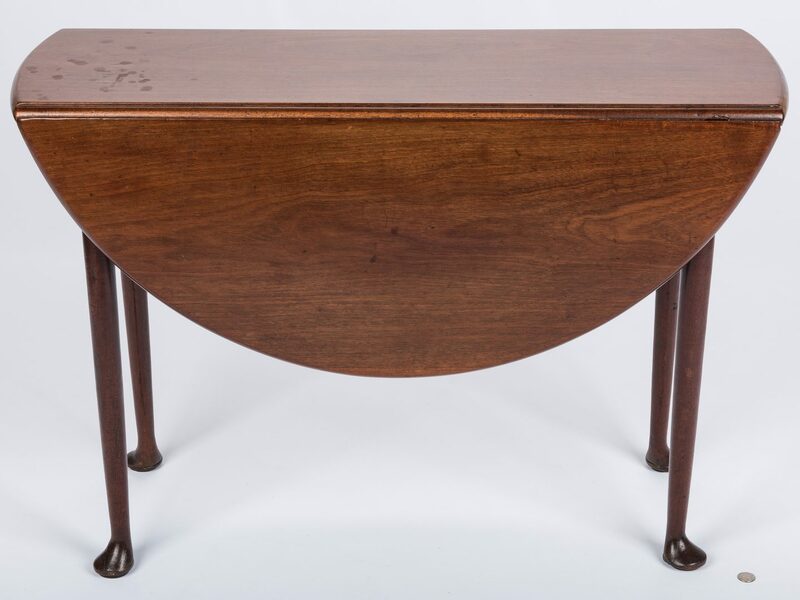 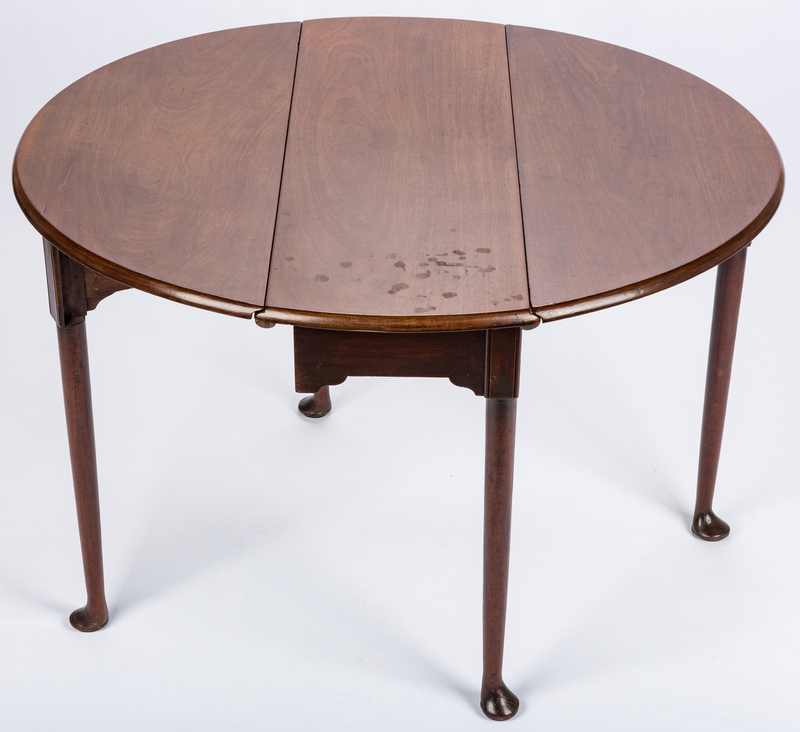 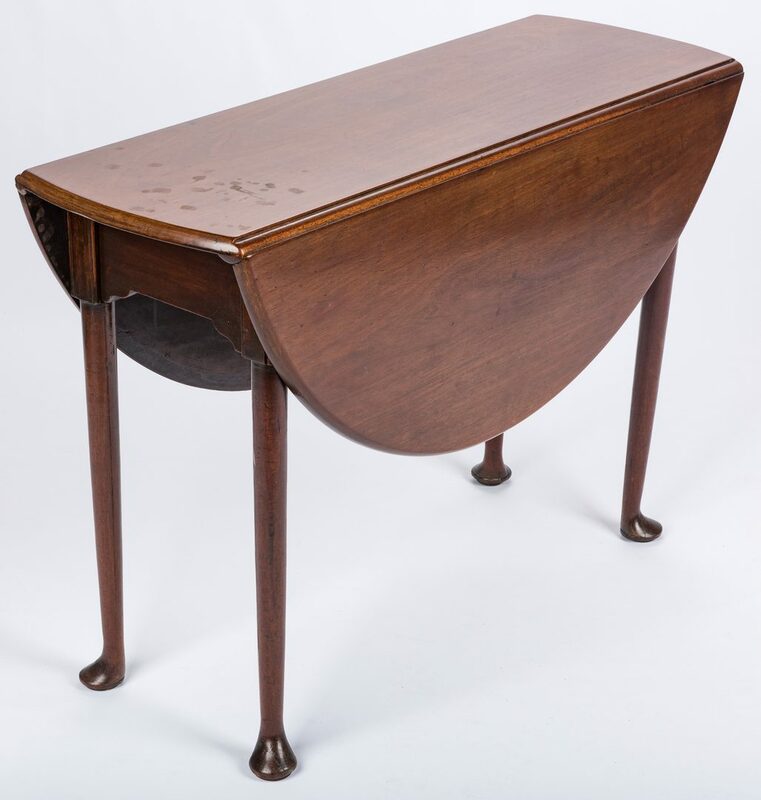 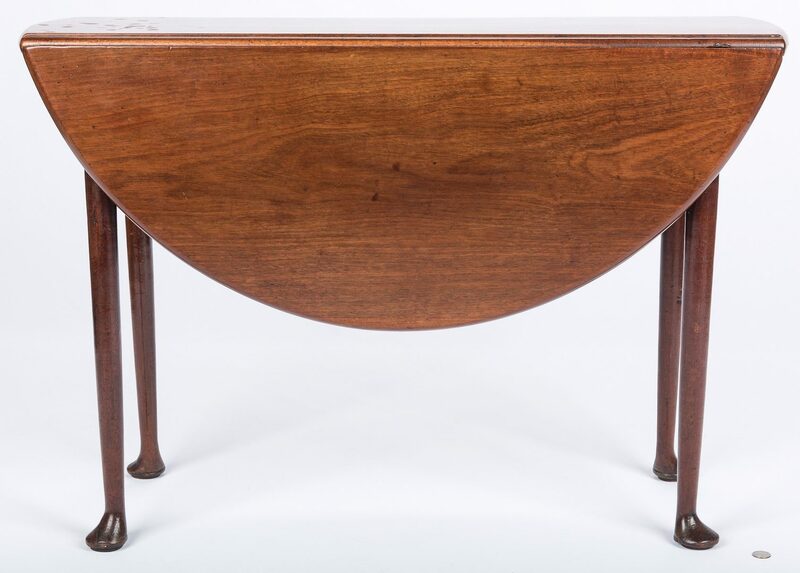 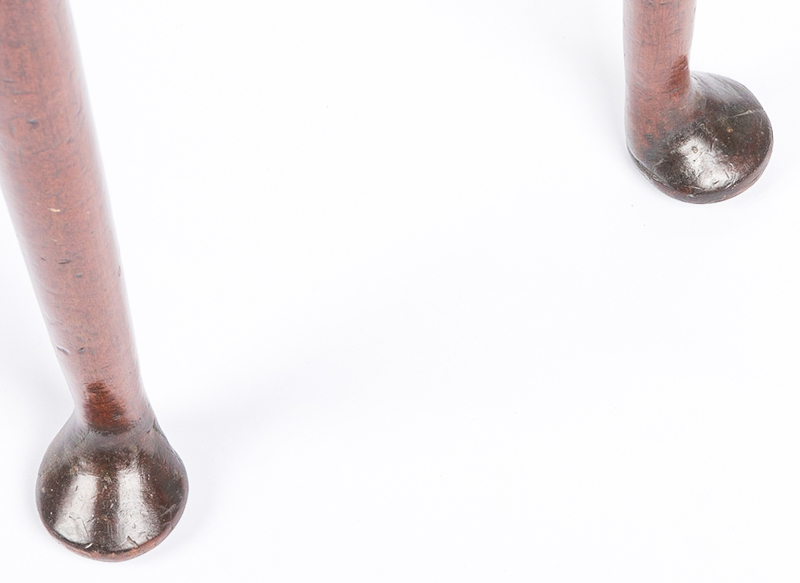 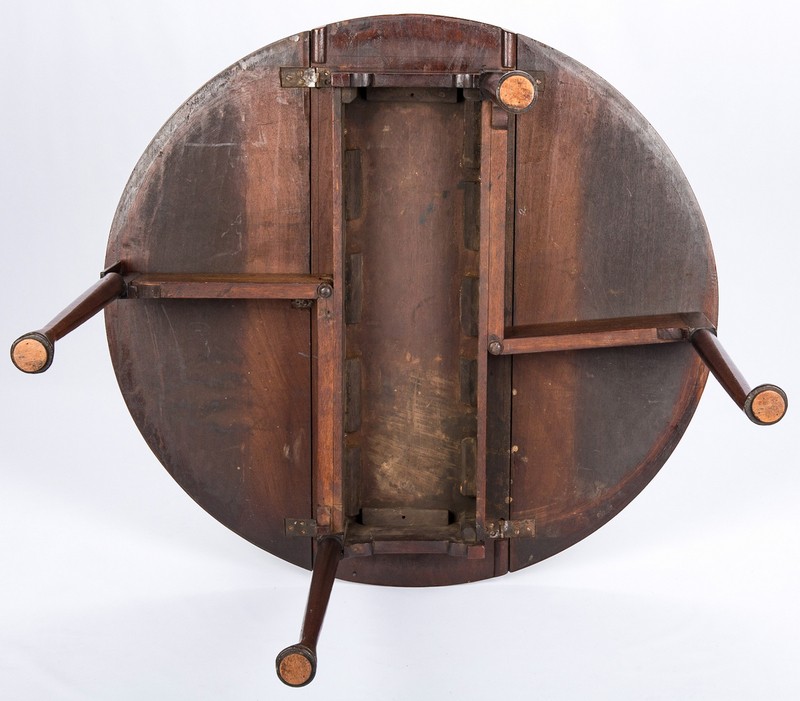 Diminutive Queen Anne Dropleaf Table with rounded leaves, shaped skirt with beaded stiles, and straight round tapered legs ending in pad feet. 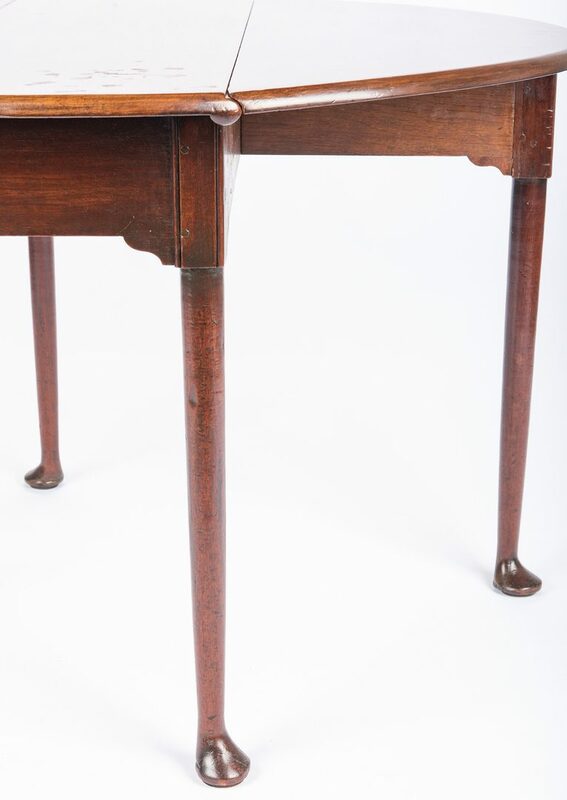 English, mid 18th century. 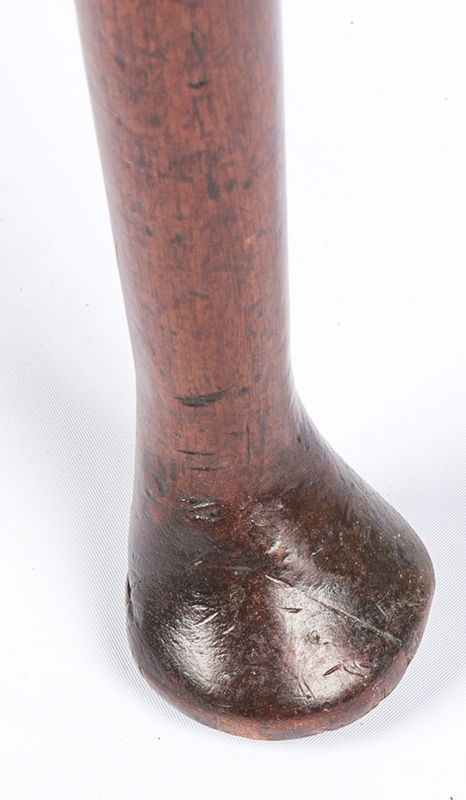 27 1/4" H x 42 3/4" D (w/ leaves, 12 3/4" w/out) x 39 3/4" D. Provenance: Collection of Christine Fields and the late Emmett Fields, former president of Vanderbilt University, Nashville, Tennessee. CONDITION: Repaired/pieced feet. 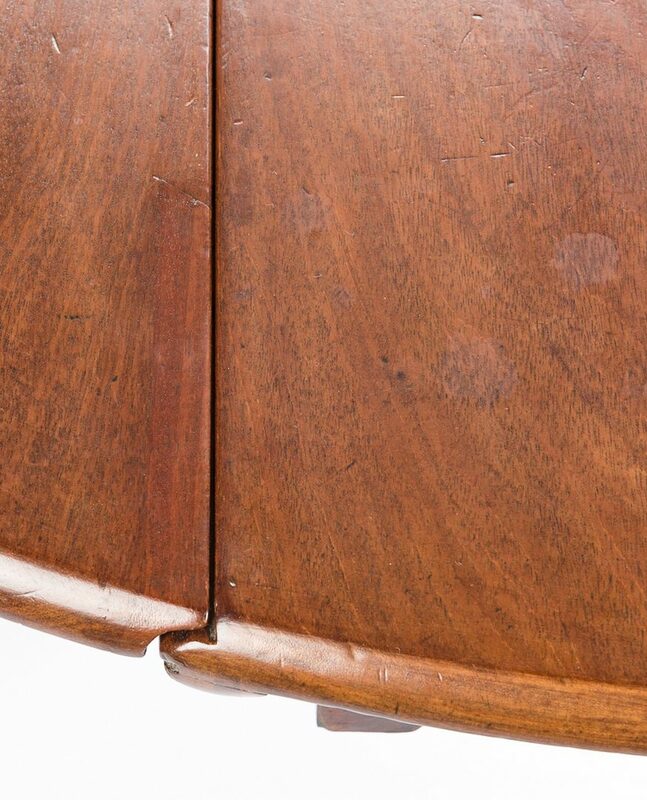 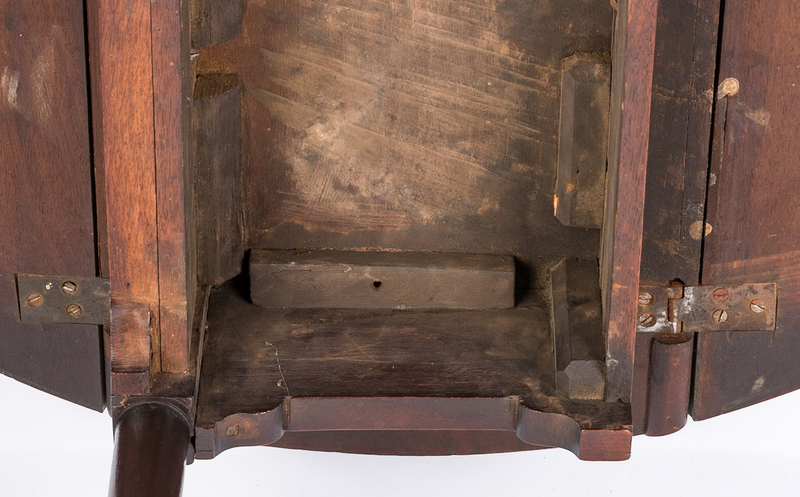 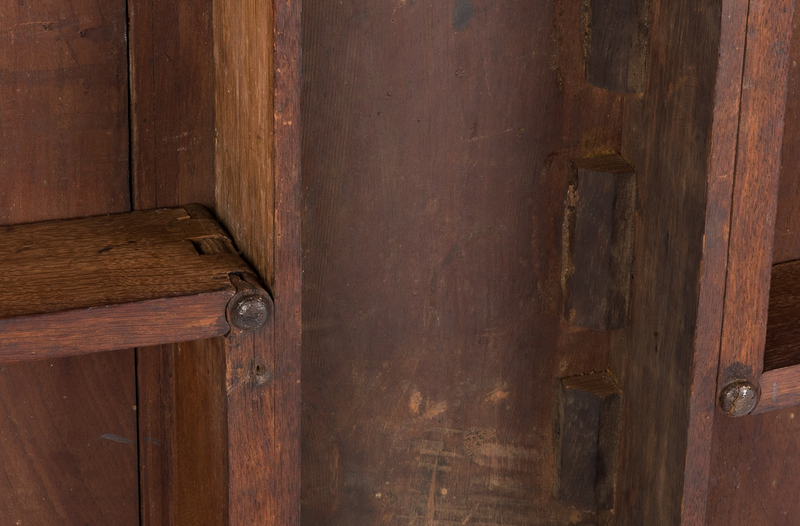 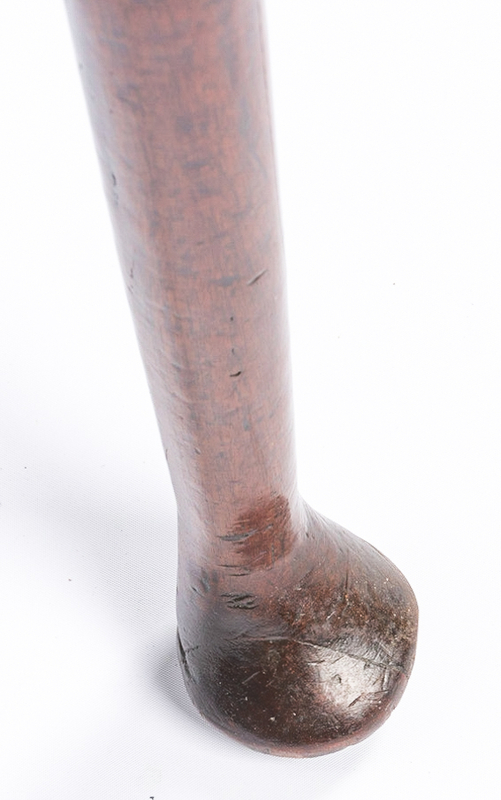 Area of staining/varnish loss to one end of top.